What Can You Do To Make Wiser Money Decisions? Navigating an ever-changing financial landscape can be overwhelming. That’s why it’s important to have a partner you can trust on your side, whether you are in your prime working years, starting a family, or nearing retirement. Regardless of your stage in life, an advisor that best suits your needs will guide you through finding the answers to the three most important questions that will set you up for financial success in the future. The answers to these key questions will guide you both as you map out a plan to help achieve your financial goals. You’ve worked hard to earn your living, so it’s important to have peace of mind regarding your planning strategies for life’s journey. 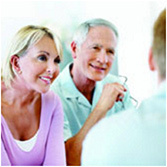 You can count on Ambassador Advisors to make the most of your financial planning. Our advisors’ experience and knowledge, along with a vast array of capabilities, can help you maximize your wealth and protect your assets. 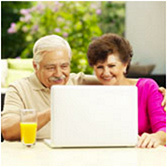 We also provide faith-based financial planning, so that your beliefs are reflected in your financial decisions. 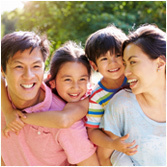 Call Ambassador Advisors today at 717-560-8300 to learn more about enriching your family’s future. 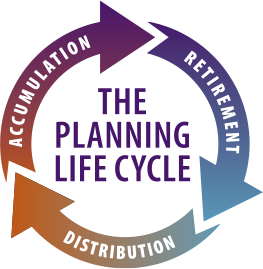 The Planning Life Cycle gives us a helpful way to visualize the way time brings individuals and families to different stages of acquiring and sharing financial blessings. Accumulation is the working stage of the Planning Life Cycle. From short-term savings vehicles to qualified retirement plans, there are a myriad of techniques available today to help you accumulate and steward wealth. At Ambassador Advisors, we can help you choose and manage the best accumulation vehicle to meet your needs, including IRAs, 401(k)s, annuities, stocks, bonds, and mutual funds. 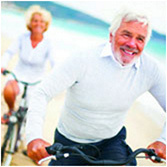 Retirement is a critical stage in the Planning Life Cycle! 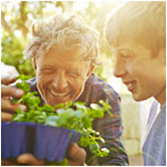 In fact, the span of time from 5 years before retirement until 5 years after retirement is often referred to as ‘the decision decade.’ During this dramatic time, many people undergo changes in virtually every aspect of their life, such as goals and lifestyle. As your planning team, Ambassador Advisors can help guide you through these changes, so they all work cohesively in your best interest. During ‘the decision decade,’ one of the biggest areas of change may be your investment objectives. Our qualified team is here to help your savings produce the dividends and stable income that are highly regarded by most retirees. Distribution is the final stage of the Planning Life Cycle. Before you pass away, you should aim to be cognizant of several challenges that may surround your death and impede your ability to leave a lasting legacy. Chief among these, taxes and long-term illness, can be negated with proper planning. Ambassador Advisors can help you be sure all the phases of the Planning Life Cycle work together to accomplish your goals. Ideally, your distribution can begin the wise accumulation and ongoing stewardship for future generations.